Did you know that you could be right next to someone in space, shouting at the top of your lungs, and that person wouldn’t hear a thing? That’s not because those space helmets get in the way. It’s because voices travel as sound waves, and sound waves need something to travel on—like the atmosphere on Earth. Since there’s no atmosphere in space, sound waves have nothing to travel on. So astronauts have to talk to each other using a different kind of wave: radio waves, which don’t need atmosphere to carry them. But God doesn’t need sound waves or even radio waves to hear us. That’s because prayers carry our voices to God. So if the God who created the entire universe is ready to listen to whatever we have to say—why don’t we pray more? At least part of the answer is that we get distracted and busy. The busyness of school, job, church, sports, family, friends, and a zillion other things gets in the way. Then there’s texting and video games and TV shows and movies and computer work. On average, we spend almost eight hours a day staring at some sort of screen, like a TV, computer, or phone—that’s almost sixty hours every week! In the middle of all of these fun, cool, and exciting things, God calls us to “be still” and pray to Him. Praying is when we praise God for who He is, thank Him for all He’s given us, and ask Him for what we need. Try it today. Find a special place where you can be alone with God. In a treehouse, in a corner of your room, in your chicken coop or even in a bubble bath. Be still, talk to God, and listen for Him to answer. 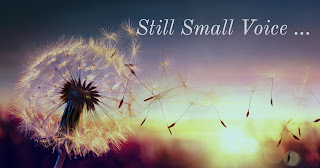 And, remember, God usually speaks with a still, small voice—so be sure to listen closely. Dear Lord, thank You for wanting to spend time with us. Thank You for always listening to us and answering our prayers. In the Name of Jesus.